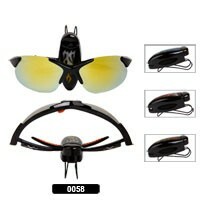 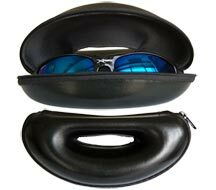 XSPORTZ Soft Case,Black & Silver color with Belt Loop, Sunglasses not included, sold by dozen. 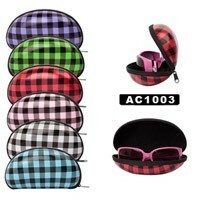 Soft Case, Sunglasses not included, sold by dozen. 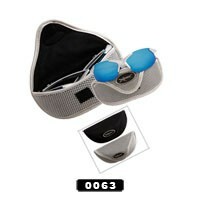 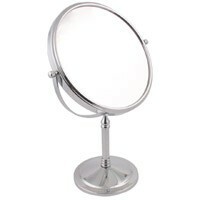 Polarized Sunglass Sign, sold by the single piece. 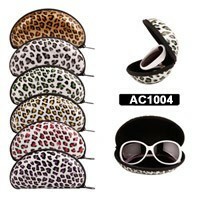 Visor Clips in assorted solid colors, sold by dozen. 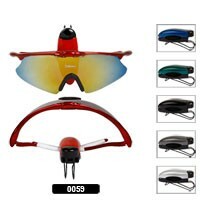 Visor Clips with flames in assorted colors, sold by dozen. 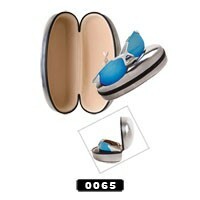 Xsportz Hard Cases, Chrome Look, sold by dozen. 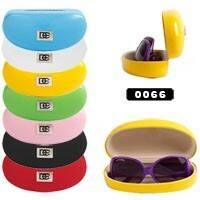 DE Designer Eyewear Sunglass Hard Cases, assorted colors sold by the dozen.